10 years of anything is a long time. And 2018 was my tenth year writing this blog. It’s time to say goodbye. I have enjoyed writing here and reading your comments and I want to thank my readers for all of their kind words. I am considering creating a separate FB page for showing and selling my handwovens, but haven’t sorted that all out yet. I will leave the blog up and check in to make sure I answer any questions that may come up on the posts. Terri, Thanks for all the time you have put into your blog. I have enjoyed it! Good luck with your next digital ventures! Thank you for sharing all these wonderful posts over the years Teri. I’ll miss them. Merry Christmas to you and yours. on December 20, 2018 at 2:48p12 Kathy T.
Thank you so much for the beautiful blog for so many years. Your quilting is stunning – your photography is fabulous – and it has been delightful to join you on your quilting adventures. Best wishes for your continued success. Threadtales was always something I checked when getting online. Thank you for writing the column. I’ll miss it, but ten years is a long time! It’s always interesting to see other longarmers creative talents. 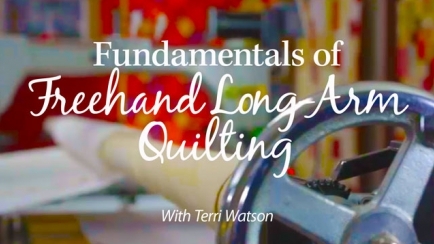 The Business of Longarm Quilting was very informative. I’ve thoroughly enjoyed watching your weaving evolve, too. Good luck in your next chapter of life. Will continue following on FB. I know I don’t comment that often but I hate to see you stop blogging!!! I’m sorry to see you go but I can see why! I’ve had a very hard time with blogging on a regular basis when it’s so easy to write a quick Instagram post! Keep posting your pictures, they are an inspiration! I will truly miss you! Your posts inspired me and gave me a wonderful resource for designs. I wish you the best in the future.